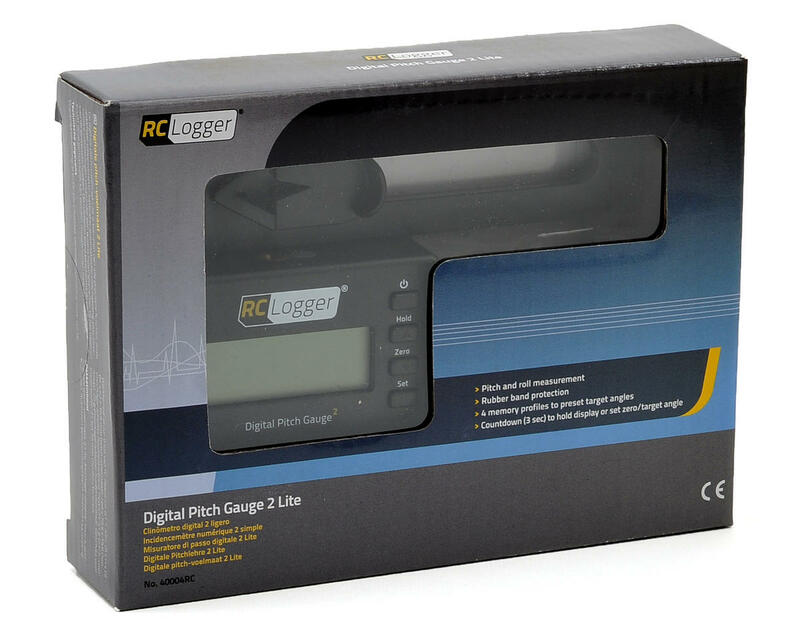 This is a RC Logger Digital Pitch Gauge 2 Lite. 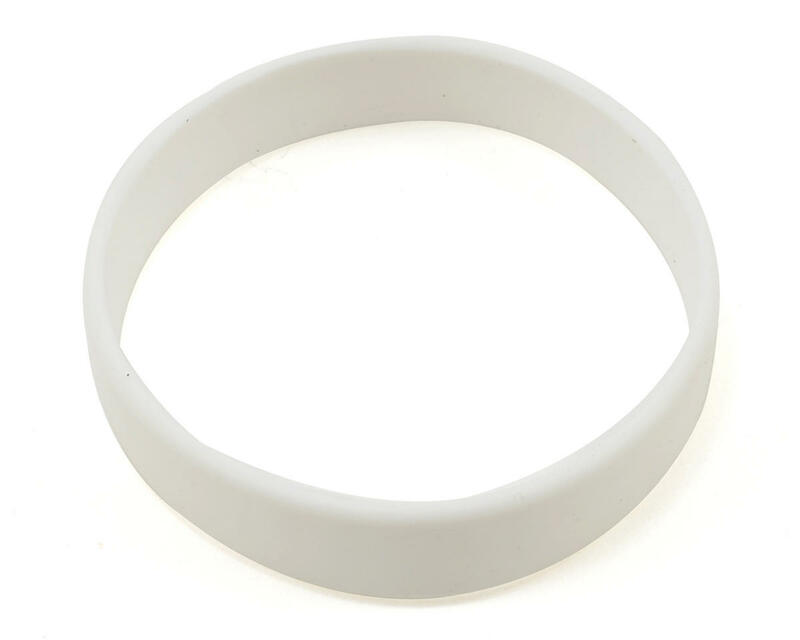 Its patented technology is packed with popular features including rotating display, calibration, auto power-off, buzzer alert for target angles, and a rubber band for protection. 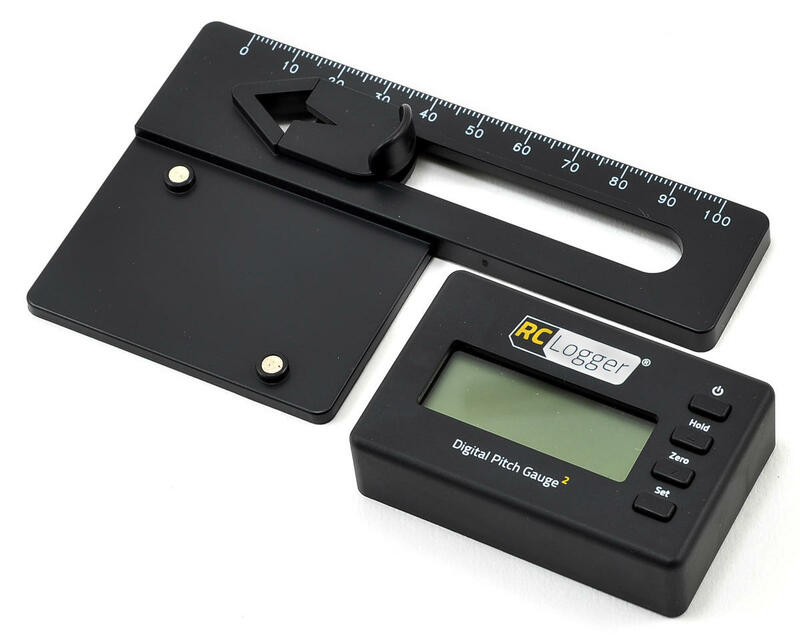 The Digital Pitch Gauge 2 Lite offers two dimensional measurement - Pitch angle and Roll angle measurement - and it comes with a handy, detachable main rotor blade mount adapter that allows you to adjust the main rotor blade with ease. Just put the adapter in place and snap on the Pitch Gauge via the inserted magnets. Also, you can now pre-define your preferred target angles beforehand and save it into your Digital Pitch Gauge 2 Lite. Four memory profiles are available for storing target measurements for measurement mode of the profiles. During tuning, a buzzer alert will signal when the target angle is reached. A countdown time of 3 seconds is available when you are freezing the display for easier reading, setting a reference zero angle or setting a target angle for memory storage. This means that you have a buffer period for placing and adjusting the pitch gauge in the desired position after pressing the function button. No more worries about affected readings by the button pressing action.